Fresh aromas of blackberry liqueur, roasted earth, black licorice, black pepper and hickory smoke. Fresh aromas of blackberry liqueur, roasted earth, black licorice, black pepper and hickory smoke. 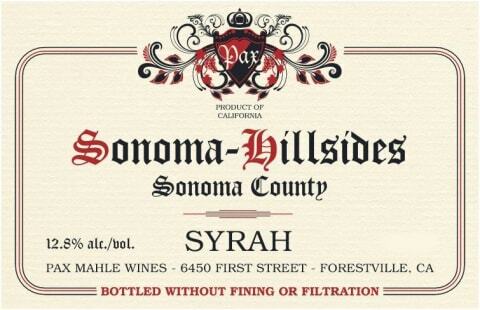 This is what Syrah smells and tastes like. Rich, supple, incredibly textured and so delicious. Nothing is out of place here, loads of fruit, Indian spices, savory umami, sweet fruit and a textural lightness that is typically unseen in the standard goofball California Syrah that favors weight over complexity.